As a former prosecutor, attorney Matin knows how to take an active and aggressive stance in respect to your case. We identify any weak points in your case and prepare a defense that anticipates the strategy the prosecution will most likely take. If you have been arrested or need advice regarding your legal matters, contact the Law Office of Hammad S. Matin today! If you’re facing criminal charges or a serious personal injury, turn to La Plata’s top-rated criminal defense and personal injury law team. 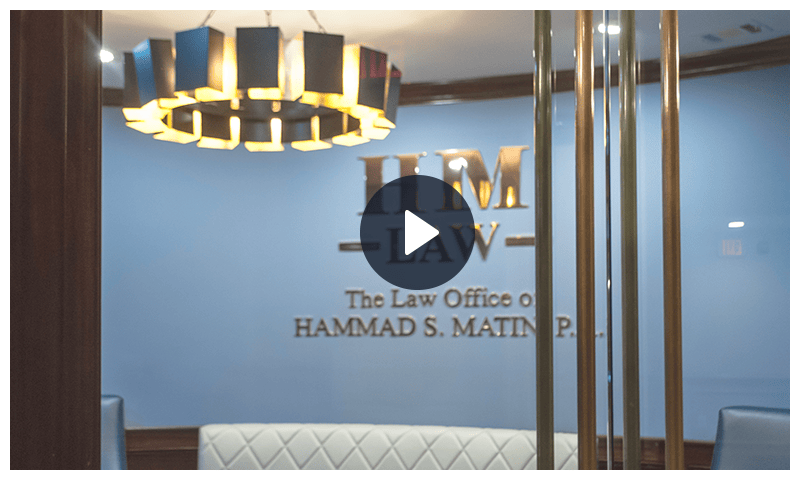 Welcome to The Law Office of Hammad S. Matin, P.A. We are a local La Plata criminal defense and personal injury law firm representing clients throughout Charles County. Our attorneys work together to provide exceptional legal representation and have achieved overwhelming success in hundreds of trials and thousands of cases in Charles County District Court, circuit court, and administrative hearings. We win cases because we focus on protecting our clients’ rights no matter what—whether we are defending a DUI charge, seeking fair compensation after an auto accident, or working to lift a protective order. We also believe strongly in providing personalized attention to every client. Our La Plata & Waldorf criminal defense lawyers take weekend and evening meetings by appointment and offer a free initial consultation to get to know you and understand your legal needs. No other law firm in La Plata focuses as much time, effort, and resources on criminal defense as we do. Hammad S. Matin is a former Charles County prosecutor who knows the ins and outs of the local criminal justice system, and our clients benefit from the reputation, knowledge base, and relationships we have built over the years. If you have been arrested, or if you’re facing any level of criminal charges, you need strong defense representation to avoid a conviction and steer your life back on track. Our attorneys are qualified to handle even the most serious criminal charges in Charles County District Court, and we will aggressively defend you with dignity, creativity, and courage. We take the challenging, complex cases that may frighten away less-experienced criminal defense attorneys. La Plata criminal defense attorney Hammad S. Matin is the founder and principal attorney at the Law Office of Hammad S. Matin, P.A., representing people across Charles County, Maryland who have been charged with criminal law violations, including DUI/DWI, traffic violations, drug crimes, juvenile offenses, assault, and robbery. Mr. Matin is also a former Charles County prosecutor. He served as Assistant States Attorney for Charles County from 2001-2007, including two years as a lead prosecutor in juvenile law matters. With this experience, our office is uniquely qualified to help you with your criminal case. The prosecutor is one of the most powerful figures influencing your case. Besides trying your case, the prosecutor initiates the process by filing the charges against you. The prosecutor has the authority and discretion to decide when to file charges, what charges to file, whether to file charges at all, and to dismiss the charges if convinced that the case against you is weak or unjustified. As a former prosecutor, Mr. Matin knows which cases are likely to be vigorously pursued and which are more likely to be dismissed, as well as how and when to influence the prosecutor’s decision in these areas. While working in the prosecutor’s office, Mr. Matin was in court regularly. He got to know the other prosecutors and the judges in the Charles County courts and gained insight into how prepare and present effective arguments in these courtrooms. Mr. Matin knows how prosecutors think and can plan his strategy and defense accordingly. He knows what tactics to anticipate and how to respond to them. He knows when a favorable plea bargain is likely and when a trial may be better. In the context of plea bargains, Mr. Matin has a working relationship with the States Attorney’s office and can bargain from a position of respect. On top of his years as a prosecutor, Hammad Matin has also been defending people like you in the Charles County courts for several years. With experience on both sides of the aisle, we are uniquely situated to help you with your case. If you have been arrested or are under investigation for a criminal offense, contact the Law Office of Hammad S. Matin, P.A. for strong, effective representation from a seasoned attorney with prosecutor and defense experience. At The Law Office of Hammad S. Matin, we go above and beyond to achieve optimal results for our clients. We know the local court system and the resources available in the community to best serve you and protect you. If you have been arrested or you think you may need a lawyer for any reason, the sooner you get legal help the better, as one misstep can have a profound effect on the outcome of your case. The right step is to call us today, and obtain the advice and counsel you need to return your life back to normal sooner than you expect. "As a former prosecutor, I know how to take an active and aggressive stance in respect to criminal law cases. The unique perspective that I gained during this time as a criminal defense lawyer has allowed me to properly evaluate the prosecution's case, identify any weak points that it may have, and prepare a defense that anticipates the strategy the prosecution will most likely take." When you come to our office in La Plata, our goal is for you to feel immediately at ease, and confident you’ve come to the right place. Our staff is welcoming and knowledgeable, our waiting area is comfortable, and our lawyers are ready to listen to you. We will take the time to thoroughly evaluate your legal needs and concerns, and provide you with options for effectively handling your case. Before you leave our firm, we will make sure you feel better and stronger than when you walked in. If you live in La Plata, Waldorf, or anywhere in Charles County, and you have questions about a legal matter, be it criminal charges, personal injury, or a family situation, do not hesitate to contact The Law Office of Hammad S. Matin, P.A. for a free initial consultation. Our expertise, our resources, our people—we’re all here for you. 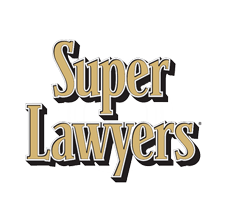 In 2013, Hammad S. Matin was selected to be on the Super Lawyers Rising Stars list, demonstrating his skill and credibility through an impartial third-party rating system. 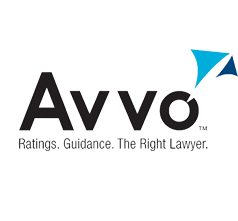 Hammad S. Matin has achieved a 9.1/10 rating on Avvo, as determined by client reviews—one of the highest ratings of any Charles County criminal defense attorney.